You must be overwhelmed with questions after your Dallas car wreck. Why not get the answers from a Texas board-certified personal injury attorney? What are some common defenses trucking companies use to avoid liability after a truck accident? When you must file a claim for compensation for injuries you have suffered in an 18-wheeler truck accident, you have the burden of proving the negligence of the trucker and trucking company. Even if you believe you have an iron-clad case, they will most likely raise defenses to try to deny or reduce your claim. Part of proving your case is anticipating and overcoming their arguments. Comparative negligence. When using this defense, the negligent parties are claiming that you were partially at fault in causing the accident. Under Texas comparative negligence law, you would be barred from receiving any compensation if you were more than 50 percent at fault. If you were less than 50 percent to blame, the amount you receive would be reduced by your percentage of fault. Other parties. If there was more than one vehicle involved in your crash or there are multiple negligent parties, the trucking company could claim that another driver or party was to blame. Depending on the strength of their argument, you may need to file a claim with this third party as well to ensure that you receive what you deserve in your settlement. Statute of limitations. You must file your lawsuit within the statute of limitations, which is the deadline you have to file. In Texas, this time period is two years from the date of your accident. If you wait longer to file your complaint, the trucking company will argue that your case should be dismissed, and the judge will most likely agree with them. Mitigation of damages. Injured victims of a truck or other accident have a duty to attempt to reduce their damages. If you do not seek treatment soon after your crash or do not follow your doctor’s advice, the negligent parties could argue that this caused your injuries to worsen. They may also claim that you failed to mitigate your damages by getting unnecessary medical care. If a negligent truck driver caused your injuries in an accident in the Dallas/Fort Worth area, our experienced truck accident attorneys could help you prove the liability of all negligent parties and defeat the arguments they use to avoid liability. Call our office today to schedule a free case evaluation to learn more about your legal options. How Long Will It Take for My Truck Crash Case to Settle? What is the time limit to file my lawsuit in my car accident case? The amount of time you have to file your complaint in court against the negligent driver who caused your injuries in a car accident is called the statute of limitations. It is crucial to understand and comply with this deadline because the penalty for failing to do so is very harsh. What Happens If You File Your Lawsuit After the Statute of Limitations Has Expired? If you file a complaint after the statute of limitations has passed, the judge will most likely dismiss your lawsuit. While there is no deadline to file a claim with the negligent driver’s insurance company, they will have no incentive to offer you a settlement of your claim once this deadline has passed because they know that you cannot take legal action against them. He can conduct a more thorough investigation if you retain him soon after your wreck. Witnesses may disappear or have their memories fade if their statement is not taken quickly. In addition, evidence can be destroyed or lost if it is not collected right away. Your lawyer can help you avoid inadvertent mistakes that hurt your case, such as signing the insurance company’s medical authorization, agreeing to give a recorded statement, or settling your case too fast for less than it is worth. He can guide you through the process of filing your claim. He can take over communications with the insurance adjuster so that your legal rights are protected and you receive what you deserve in settlement of your claim. Have You Been Injured In A Texas Car Accident? If you've been hurt in a Texas car accident you need to speak with an experienced car accident lawyer as soon as possible. Contact us online or call our Colleyville office directly at 817.380.4888 to schedule your free consultation. How Much Does a Car Accident Attorney Cost? I signed a non-disclosure agreement with my employer. Is this legal in Texas? When signing a non-disclosure agreement, an employee agrees not to disclose any trade secrets or other confidential information of his employer both during and after his employment. While some people confuse them, a non-disclosure agreement is different from a non-compete agreement, which may limit a person’s ability to do similar work after leaving his job. Non-disclosure agreements are often legally binding in Texas. When Is a Non-Disclosure Agreement Valid? To be binding, the agreement must be based on adequate consideration, which are mutual, non-illusory promises between an employer and employee. For example, the employer’s promise of continued employment may not be sufficient consideration for a non-disclosure agreement to be valid. Some consideration, such as additional wages, must be offered by the company. If the non-disclosure clause prohibits the employee from using his general skill and knowledge, a court may decide that it is actually a non-compete agreement in disguise. While non-disclosure clauses are usually enforced by Texas courts, non-compete agreements must meet certain requirements, such as being limited in scope, time period, and geographical area, and no broader than necessary to protect the employer’s good will. A non-disclosure clause may be legal, even if the agreement contains other unenforceable non-compete or non-solicitation provisions. What Happens If You Breach a Non-Disclosure Agreement? If a person enters into a valid non-disclosure agreement, he could face civil penalties if he later violates it. This issue usually comes up after an employee has left his job for employment with a competitor, or takes a job with a competitor after he’s been terminated. He could be liable for damages under a breach of contract legal theory. The agreement may have a provision that sets the amount of damages owed for violation of this clause. Do you have questions about signing an employment contract that contains a non-disclosure agreement? Is your employer claiming you violated this agreement? Walt Taylor is an experienced employment law attorney in the Dallas, Fort Worth, and Mid-Cities area. He is here to review your contract and advise you on the legality of your non-disclosure clause and other provisions in your contract so that your legal rights are protected. Contact us online or call 817.380.4888 to schedule your free consultation today. What Happens If There Is no Non-Disclosure Agreement? You need to know that, even in the absence of a non-compete, an employee may still be obligated to protect trade secrets of his employer, even after resignation or termination. Laws such as the Federal Defend Trade Secrets Act and the Texas Uniform Trade Secrets Act are still in effect. You should consult with an experienced attorney before running the risk of violating these statutes, or any duties that may arise under common law. What types of compensation could I receive in a wrongful death action following a truck accident? It is devastating to lose a family member in a truck accident, especially when it was caused by the negligence of the truck driver and trucking company. It can cause you to suffer both emotionally and financially. Fortunately, the trucking company and trucker may be responsible for compensating you for your losses. While this will not take away your grief at the loss of your loved one, it can help you obtain justice and return to the financial stability you enjoyed before your loved one’s death. There are two types of claims you may bring following the loss of a loved one. 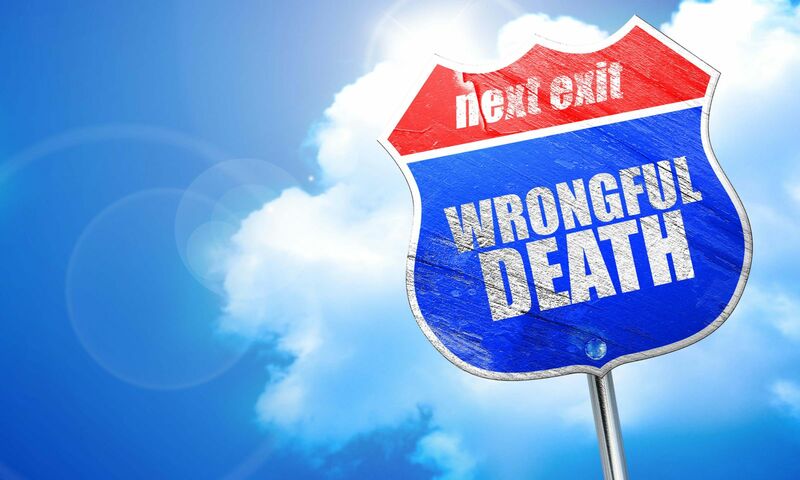 The first is a wrongful death action to recover the losses you personally suffered due to your family member’s death. The other is a survival action which is a claim for the financial losses that your loved one incurred from the time of the truck accident until his death. If your loved one was employed and provided financial support to you at the time of his death, you might be entitled to compensation for the future lost wages and other benefits of his employment. You are entitled to be compensated for the loss of support, love, care, advice, and guidance that your loved one provided to you in your daily life. You also can receive compensation for the pain and suffering you are experiencing due to your family member’s death. If you need mental health counseling to help you cope with your grief, you can be reimbursed for this as well. If your loved one provided household or other services to you, this can be included in your settlement. You can be compensated for the inheritance you would have received if your family member lived. You should be entitled to the amount he would have reasonably been expected to earn if he had lived. If the trucker’s or trucking company’s actions were willful or grossly negligent, you might be entitled to punitive damages to punish them. If you lost a loved one in an 18-wheeler or other truck accident in the Dallas, Fort Worth, or the Mid-Cities area, our experienced truck accident attorneys are here to aggressively fight to prove the trucker’s and trucking company’s negligence so that you receive the compensation you deserve. Contact us online or call our Texas law office directly at 817.380.4888 to schedule your free consultation today. What should you expect at your initial consultation with a truck accident attorney? Most attorneys in truck wreck cases in the Dallas/Fort Worth area offer a free initial consultation to potential clients, and you should definitely take advantage of this. This meeting is an opportunity for the lawyer to assess your case. The second purpose is for you to determine whether this person is an experienced truck accident attorney and whether he is someone you feel you can trust and who will aggressively fight for the compensation you deserve. The attorney will want to have a detailed conversation about your case. This can include questions about how your accident happened, your injuries, evidence you have collected, and any conversations you have had with the negligent trucker’s and trucking company’s insurance company. Once the lawyer has a better sense of your case, he should provide you some general legal advice. This may include discussing who could be liable for compensating you, the types of compensation you may be entitled to, the importance of following your doctor’s treatment plan, and mistakes not to make. The attorney may explain how filing a claim and filing a lawsuit differ, the steps involved in each, and how long he believes it may take to resolve your case. Good communication between you and your lawyer is important to the outcome of your case and your relationship with him. You should discuss how your attorney will be communicating with you, how often he will update you on your case, and how soon he will get back to you if you contact him with questions. A truck accident attorney should explain what attorney fees you will owe and whether or not he will handle your case on a contingency fee basis. You should come to the appointment with a list of questions about the attorney’s experience in these cases, how many cases he has successfully settled and taken to trial, and any other concerns you have. Are you thinking about hiring a lawyer in your truck accident case? We have decades of experience fighting for the rights of injured victims. To learn more, contact us online or call our office directly at 817.380.4888 to schedule a free consultation with our experienced truck accident attorneys. When you start a new job, or sometimes when you leave and are receiving a severance payment, your employer may ask you to sign a non-solicitation agreement. Non-solicitation agreements are subject to the same rules as non-competes, regardless of what they are called. This agreement could be a separate contract between you and your employer, or it could be a clause in an employment contract. Before signing it, it is important to understand what you are agreeing to and to have it reviewed by an experienced employment law attorney to be certain that your legal rights are protected. A non-solicitation agreement prohibits an employee from soliciting clients or employees of a former employer. While a company may require a new hire to sign one, it can be entered into at any time during the worker’s tenure. It is often used by service and sales companies. Many people confuse a non-solicitation agreement with a non-compete agreement, but they are different. When a person signs a non-compete agreement, he is agreeing not to work in a particular job or industry. ● There must be valid consideration for the agreement. ● The non-solicitation agreement must be part of or ancillary to an employment contract or other valid agreement. ● The employee must only be prohibited from soliciting employees or clients for a reasonable period of time. ● The non-solicitation must be confined to a reasonable geographical area. For example, an industry-wide prohibition most likely would not be enforceable. ● The scope of the non-solicitation must be reasonable. Is your employer asking you to sign a non-solicitation agreement? Are you thinking of leaving your job but are worried about the enforceability of a contract you already signed? Have you already left or been terminated, have you been sued or are you being threatened with suit for enforcement of a non-solicitation agreement? Walt Taylor is here to review your agreement and to answer your questions. He represents employees throughout the Dallas, Fort Worth, and Mid-Cities areas. To schedule a consultation with Walt (sometimes for no fee, depending on the circumstances), call our office directly at 817.380.4888 or fill out our online form to schedule your free consultation. If you are being terminated or laid off from your job in Dallas, Fort Worth or the Mid-Cities area, your employer may ask you to sign a severance agreement. This is an agreement between you and your company where the employer offers you a certain sum of money in exchange for your release of certain legal rights spelled out in the contract (typically all of them or nearly all of them). Unless your employer agreed to pay you severance pay in an employment contract,, an employer’s offer of this monetary compensation is usually completely voluntary, although occasionally the employer may offer it to avoid claims the employer believes you may have..
A release of claims clause will generally be an agreement by you to waive your right to sue your employer for any claim you have (whether you know about it or not), such as for any type of discrimination, retaliation, overtime or wage claims, etc. This agreement would prevent you from working for a competitor for a certain period of time in a specific geographic area; if you have not already signed a similar non-compete with this employer, you may be giving up significant rights. A confidentiality clause may prevent you from disclosing the specific terms of the severance agreement, or it may prevent you from disclosing certain confidential information of the old employer to a new employer or anyone else. When Is a Severance Agreement Not Valid? In most cases, a severance agreement signed by a business and its employee is a binding contract between them. However, in certain situations, some or all of the agreement may not be valid. ● The severance payment is money that you are already owed, such as your last paycheck. ● You were coerced into signing the agreement or did so under duress. You must meet certain legal proof requirements to prevail on these claims. ● If you are over 40 years old, you cannot waive your rights under the Age Discrimination in Employment Act (ADEA) or the Older Workers Benefit Protection Act (OWBPA). For example,certain language must be in the agreement, and you must be given a review period after signing it and a short period of time right to revoke it after signing. ● The agreement may violate the Worker Adjustment and Retraining Notification Act (WARN), which provides protections to employees when medium to larger employees make large layoffs or close plant locations. Before you sign a severance agreement, it is important to have it reviewed by an experienced employment law attorney to protect your legal rights and be certain that it is in your best interests. Attorney Walt Taylor will review severance agreements in advance and meet with you to discuss the specific facts of your case, for a reduced flat fee from his normal hourly billing rate. To learn more about these agreements and to get other questions answered, call our office directly at 817.380.4888 to schedule a consultation with Attorney Walt Taylor. I had a contract with my employer, but I was fired. How do I know if the firing was legal? Most people in Dallas-Fort Worth and the Mid-Cities are at-will employees who can be fired from their jobs or can quit for any reason. However, some employers will enter into an employment contract that governs many of the terms of the employee’s employment, which may sometimes include the right to be terminated only for cause. If you are working under such an employment contract and are discharged, you may have a claim of breach of contract against your employer. What Is an Enforceable Contract? For any contract to be valid in Texas, something of value must be exchanged by the contracting parties. In the employment context, the employer offers wages, and the employee is providing his or her services. Employment contracts may be oral or written; however, for an oral contract to be legally binding, the terms of the contract be performable within a year. Otherwise, Texas’ statute of frauds requires that the agreement must be in writing. It can be very difficult to prove the existence of an oral contract. A contract may be a formal written agreement that has the title “Employment Contract,” but it doesn’t have to in order to be considered a legal contract. Offers of employment contained in letters, emails, and faxes can be considered contracts, if they provide a fixed term of employment or the right to be terminated only for cause. An employee handbook with such terms can in limited situations create an employment contract, although most employee handbooks expressly disclaim creating any contract. An express disclaimer that nothing in the agreement alters the at-will nature of the employment may negate all of the above, except possibly an “only for cause” termination provision. What Are Your Rights If Your Employer Terminates You in Breach of Your Employment Agreement? If you are working under an employment contract, your employer must comply with its provisions when terminating your employment or altering your compensation. If your company failed to do this, you could have a claim for breach of contract that entitles you to compensation for your lost wages and attorney’s fees. You also must be certain that you comply with the terms of your contract if you decide to leave your employment, or if you are considering trying to enforce it while still working for that employer. For example, you may be required to give a certain amount of advance notice before your resignation takes effect. If you break the contract, you may forfeit benefits or be liable for damages to your employer. Before signing an employment contract, you should have it reviewed by an experienced employment attorney to be certain that your rights are protected or that you at least know what the agreement means and what it requires of you to avoid a breach. A lawyer can also pursue your claim for breach of contract if you are wrongfully terminated in breach of the contract. To have your contract reviewed, or to learn more about your legal rights and options, call our office to schedule a free consultation with attorney Walt Taylor today. Can I be fired for refusing to commit a criminal act in Texas? If you are like most workers in Texas, you are an at-will employee, which gives your employer the right to terminate you for no reason or for a completely arbitrary reason. However, you may fall into a narrow exception to this rule if you are discharged because your employer asked you to engage in a criminal act and you refused to do so. In this situation, you may have a wrongful discharge claim against your employer and be entitled to compensation for your losses. ● An employee must show that he was fired or constructively discharged solely because he refused to commit a criminal act. If there is any other reason for the discharge, such as the worker’s age or job performance, this exception does not apply. ● The act that the person refused to perform must have violated criminal, not civil, law. ● The employer must have requested that the worker commit the criminal act. No advance, express threat that he would be fired if he refused the request is required for this exception to apply. Examples of illegal termination under this rule include being fired for refusing to violate environmental laws or refusing to sign false insurance forms. However, reporting a criminal act—even if asked not to by a supervisor—would not be grounds for a wrongful discharge claim (except possibly for public employees, who may have the benefit of the Texas Whistleblower Act. Do you believe you were fired because you refused to commit a criminal act? Attorney Walt Taylor can help you hold your employer accountable for compensating you for your lost wages and the other damages you may be entitled to. He represents clients throughout the Dallas-Fort Worth and Mid-Cities areas. To learn about his extensive experience fighting for the rights of workers wrongfully terminated, call our office directly at 817.380.4888 to schedule your free consultation today. 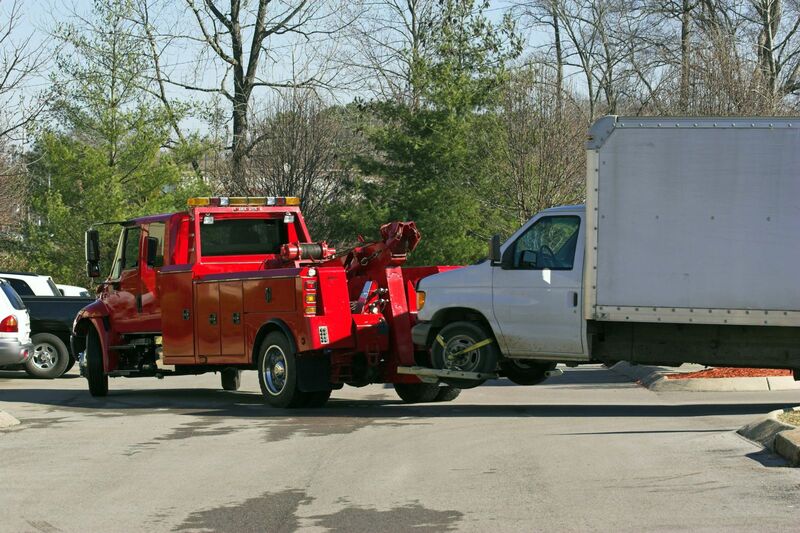 What happens if I was partially at fault in causing my truck accident in Decatur? Texas is a fault state that requires negligent drivers to compensate the victims of a passenger vehicle or truck accident. In many cases in Decatur, the truck driver’s and trucking company’s liability for causing a collision is clear cut. However, in some situations, the fault may be divided among more parties. Here, we explain your rights to compensation if you are found to be partially to blame for causing your crash. If you are found to be more than 50 percent at fault, you would not be entitled to any compensation from the truck driver. If you are less than 50 percent to blame, the amount of compensation you receive would be reduced by your percentage of fault. For example, if your damages are $200,000 and you were 20 percent at fault, you would still be entitled to $160,000 from the negligent trucker and trucking company—a substantial amount of what you would otherwise be owed. Because it is a way to reduce their liability for compensating you, you should not be surprised if the insurance company for the trucker and trucking company tries to claim that you were partially negligent even if this was not true. An experienced truck crash attorney will have strategies to defeat these unjustified claims and can protect your legal rights so that you receive what you are entitled to in your settlement. Are you worried about how your own fault could affect your truck injury claim? Contact us online or call our office directly at 817.380.4888 to schedule your free consultation today. A member of our skilled truck accident legal team will discuss your crash with you and advise you how modified comparative negligence could impact your legal rights to compensation for your injuries. We help injured truck wreck victims throughout Texas including Arlington, North Richland, Grapevine, Bedford, Hurst, Euless, Irving and all points in between. The Hart Law Firm goes above and beyond John M.